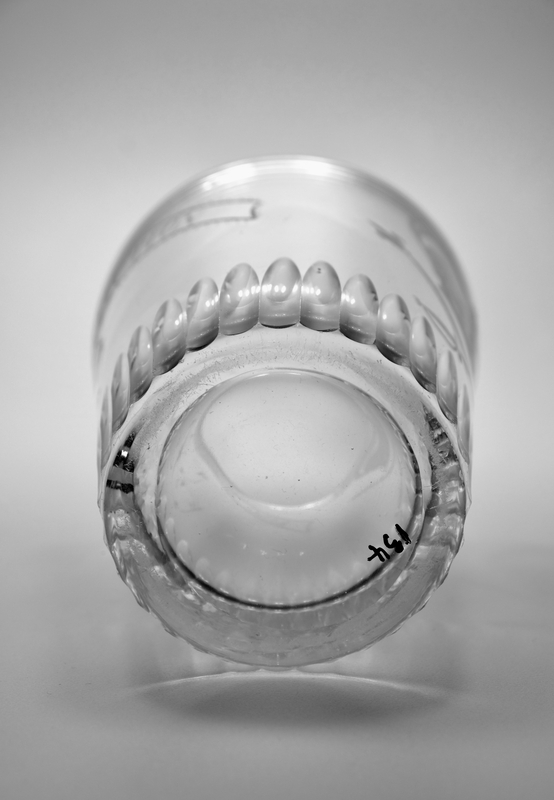 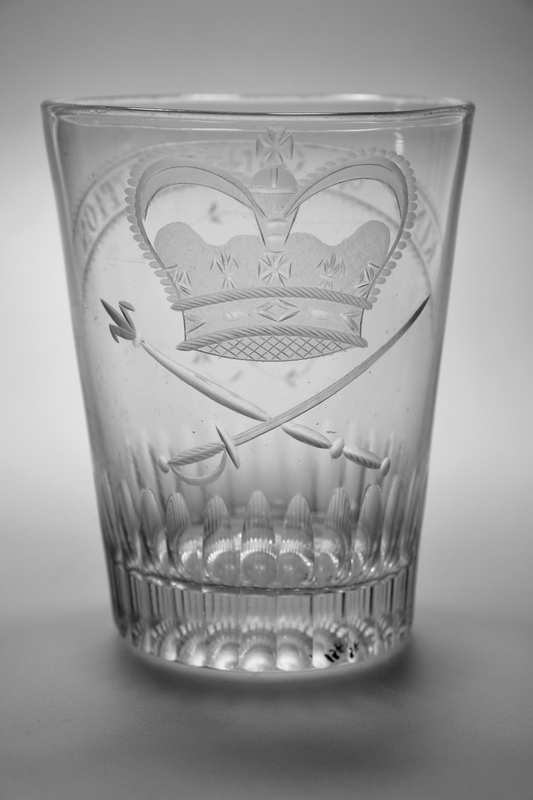 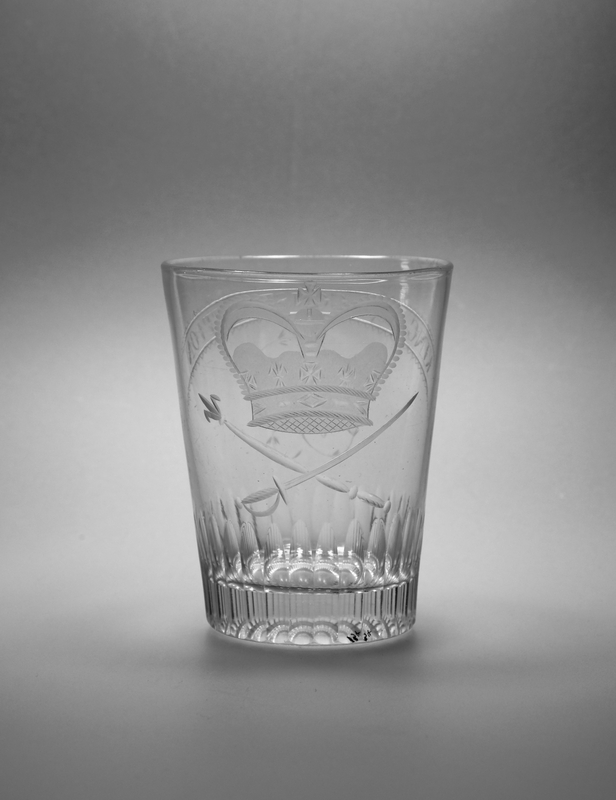 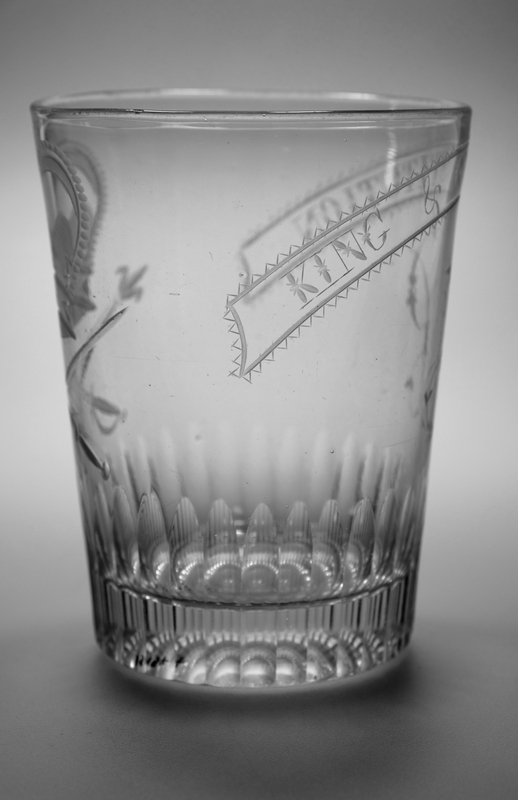 Glass tumbler with cut basal flutes, engraved crown, crossed sword and septre. 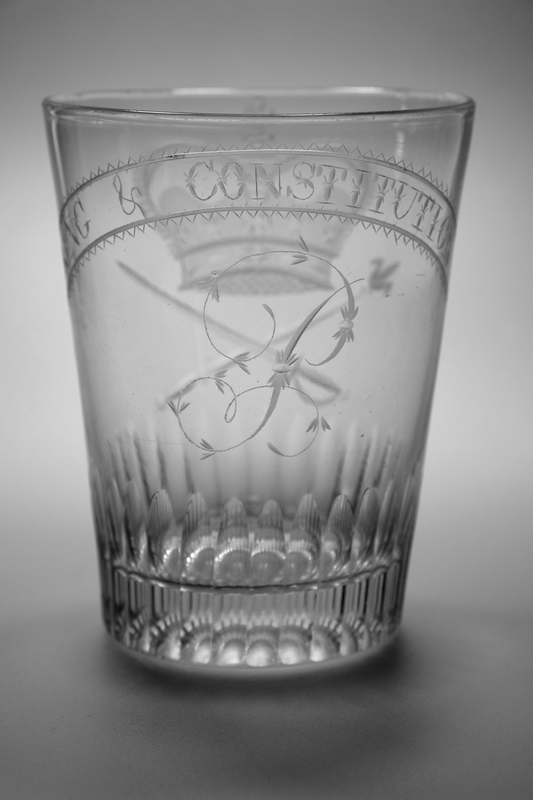 The reverse with the toast 'king and constitution' and the initial belived to be either an I or J. English C1790 - 1800. 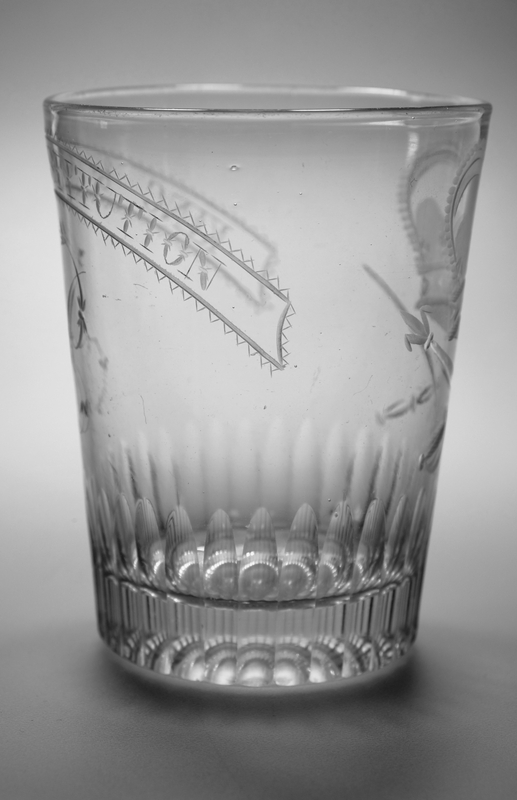 Condition: Very good with no chips, cracks or evidence of retoration.